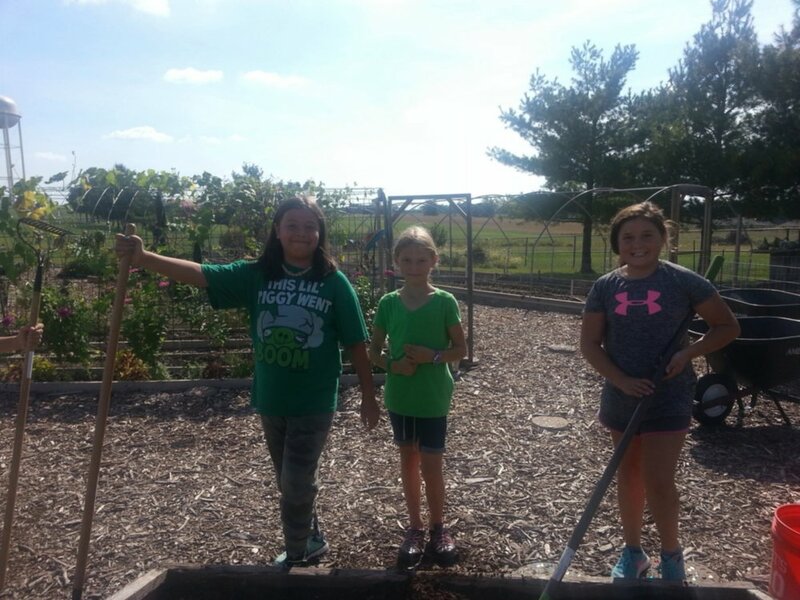 The Southern Boone Learning Garden (SBLG) provides multiple programs for Southern Boone school students and is involved in efforts to increase healthy lifestyle options and the overall health of the community of Southern Boone. You can help by donating needed items, and Ashland’s “Sentinel Lumber & Hardware” has teamed up with the SBLG to make donating easy! · Visit Sentinel Lumber & Hardware (1 Industrial Dr. Ashland, MO) between Saturday 09/01/2018 and Saturday 09/08/2018 Business Hours: Mon – Fri 7:30am to 5pm and Saturday 7:30am to 12:30pm (or) call Sentinel Lumber & Hardware at (573) 657-2164 for credit card purchases. · Let a staff member know you would like to make a purchase for the “Southern Boone Learning Garden”, and provide him/her with the item(s) and stock number(s). Sentinel will give you a 10% discount on your purchase, and items will be stored at Sentinel Lumber for delivery to the SBLG following the fundraiser. Please provide your name/address so that your donation letter may be mailed to you by the SBLG. 16’x20’ Tarp (944-9497) $47.29 5-Gallon Buckets (603-5067) $2.09 ea. THANK YOU FOR YOUR SUPPORT OF THE SOUTHERN BOONE LEARNING GARDEN !!!!!!!!!!!!!!!! Southern Boone County R-1 School District Garden Teacher Hope Sickmeier (L), & SBLG/MO Healthy Food AmeriCorps Garden Educator Lexi Jose giving instructions for a Fall 2017 elementary school class. The wonderful Missouri Foundation for Health grant we've operated under for 5 years is ending, so your support and donations are more important now than ever before. Please help us support the Southern Boone County R-1 School District and their new Garden Teacher, Hope Sickmeier, in their efforts to continue garden-based learning for students here! The Southern Boone Learning Garden nonprofit 501(c)(3) organization must continue to raise funds & provide volunteer support for the current school year for educational and gardening supplies for students and teachers, and to provide garden maintenance support to the school district. Your donations of time, materials, and money will be used for things like plants, tools, compost, 5-gallon buckets and straw, in addition to helping us get the following: a hand-washing/produce-rinsing station, a food processor, a dissecting microscope, a blender, an aerogarden and more! Click HERE for a complete 'Wish List'. And thank you!!!!! 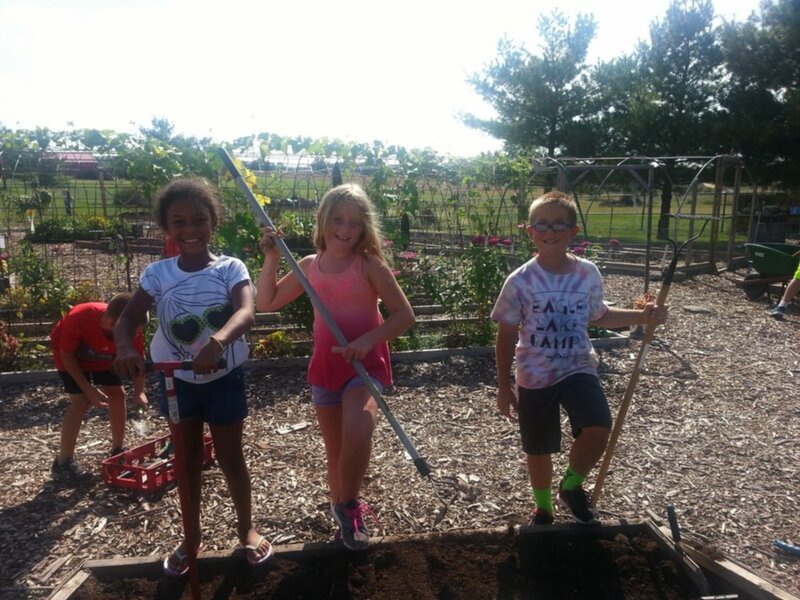 For information about school-day (preschool - high school) Learning Garden programming, please contact Hope Sickmeier at hsickmeier@ashland.k12.mo.us or (573) 657-2145. For information about after-school programs like the Elementary Garden Club & Middle School Cooking Club, Farm to School, the SBLG nonprofit organization, or community programs like the Walking School Bus or the Southern Boone Farmers Market, please contact SBLG Board Chair Ernie Wren at erniewren@gmail.com. Hands-on Learning in the Garden! Garden WIN students enjoying "snow fruit and vegetables"
We LOVE getting our hands dirty in the Learning Garden. 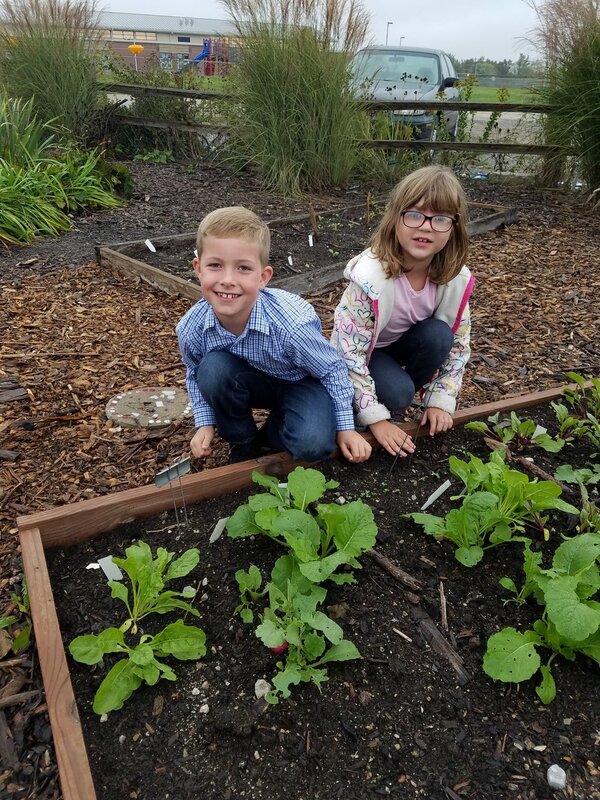 Elementary Garden Clubbers show us how it's done with their Fall 2017 sweet potato harvest! This program is supported in part by a partnership with between SBLG and the Missouri River Communities Network as part of the Missouri Healthy Food AmeriCorps Program. The MO Healthy Food AmeriCorps Program is supported by the Missouri Community Services Commission & the Corporation for National Service under AmeriCorps Grant No. 14AFHMO0010015. Garden Clubber showing off her sweet potato harvesting skills!! Garden Clubbers taking good care of their fall crops! Elementary Garden Clubbers learn the basics of gardening and growing food, preparing delicious (and nutritious) snacks, and being informed stewards of the natural world on which we all depend. 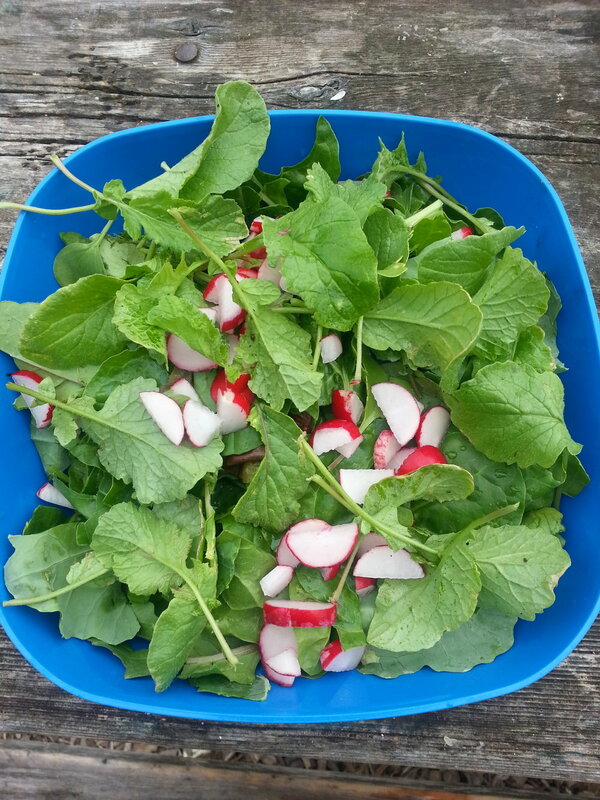 Turnips & radishes - oh my! Each Garden Clubber chooses, plants & tends fall crops in their own garden plot. Kids take care of their plots, help each other, & take care of the big garden too - all with help from the Educators and volunteers. 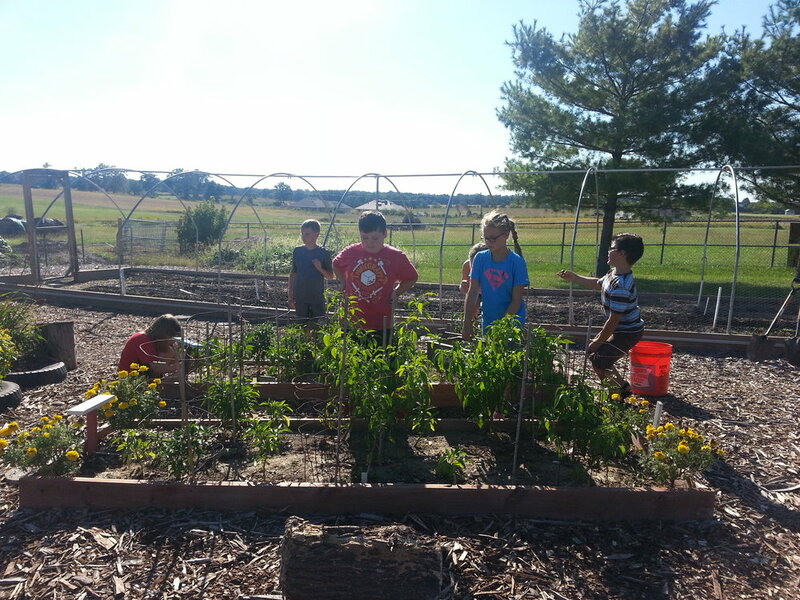 Students always take great pride and responsibility in growing food and helping their garden look good! Along the way we do a lot of garden work (weeding, watering, harvesting, pest control, composting, etc. ), make garden pizzas & salads, harvest sweet potatoes, and so much more!! While the school district is now in charge of the school-day classes, the Southern Boone Learning Garden nonprofit organization still operates the after-school Elementary Garden Club. Your donations will provide SBLG with funding needed to continue this wonderful & popular program. Thank you for your support!!! Making Garden Pizzas - YUM!!! Garden Clubbers harvesting chard & other goodies from the 'field garden'. This Cooking Club is partially supported by generous weekly food donations from the Wonderful Rock Bridge HyVee food store in Columbia - Thank You!!! 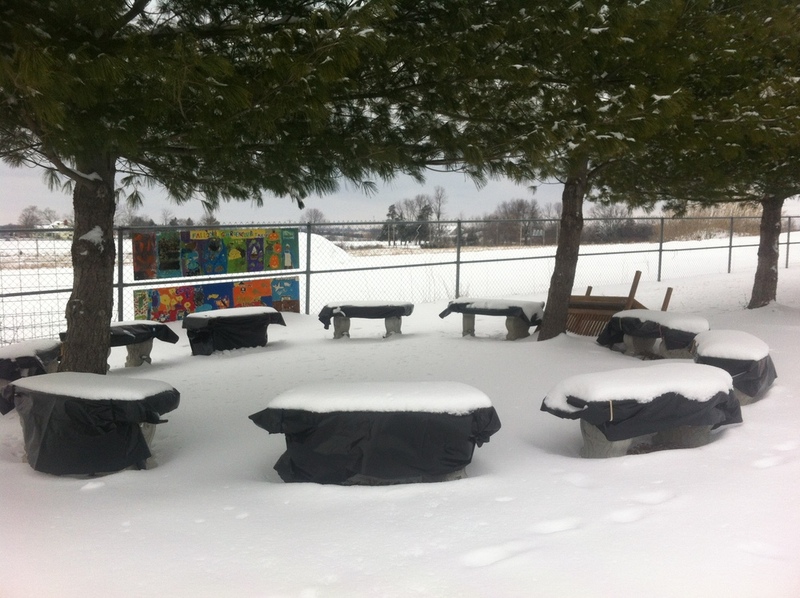 The mission of the Southern Boone Learning Garden is to provide outdoor classroom space and resources; to facilitate fun, authentic learning experiences that challenge students to embrace positive life skills; and to promote collaborative efforts between the Learning Garden, the school district, and the community. 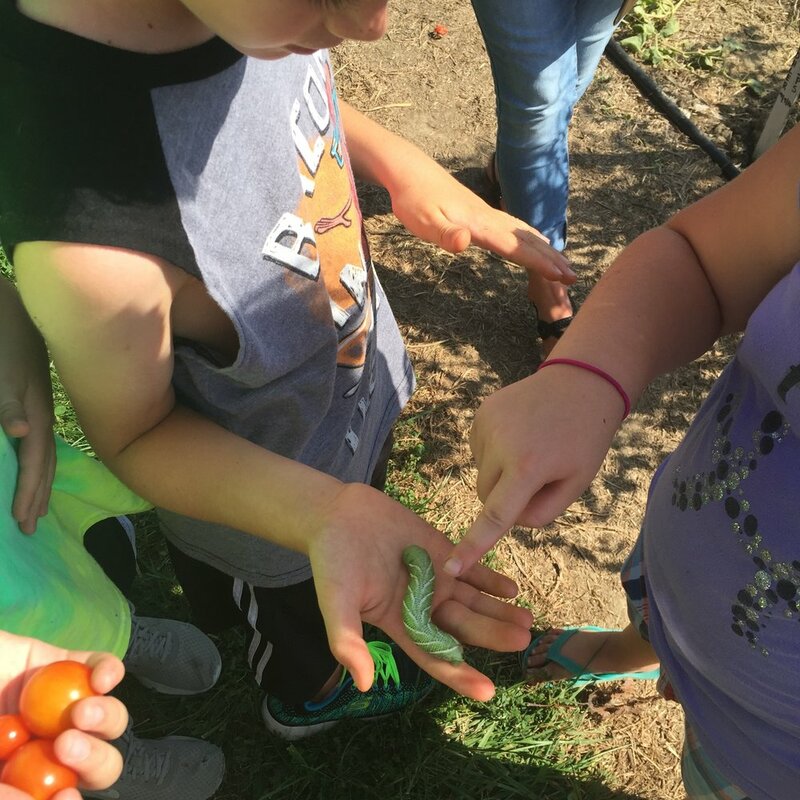 The vision of Southern Boone Learning Garden is a healthy community in which students and families are actively engaged in the production of good food. Help us by donating your time. Whether it's as an after-school volunteer with our Elementary Garden Club or Middle School Cooking Club, as a Garden Maintenance volunteer helping water, weed & more on the weekends and breaks, or as a SBLG Board Member or committee member - WE NEED YOU!!! If you're passionate about helping kids, teachers & families learn to grow & eat healthy food, then this is the community organization for you. If you want to help kids and families learn about nature, environmental conservation, & sustainable agriculture, then this is the community organization for you! Check our Volunteer Opportunities to see when and where you can come help us out. Contact SBLG Board Chair Theresa Lackey at theresal@sblearninggarden.org for more information. Thank you, thank you, thank you!!! Help us by donating supplies. We've got a running Wish List with supplies we currently need. If you've got school or gardening supplies sitting around with no planned use, consider donating them - we'll put them to good use! Please contact SBLG Board Chair Theresa Lackey for more information. Thank you! Help us by donating financially. As is the life of a nonprofit we are in a continual fundraising state. And as much as we would love to completely exist apart from money, there are certain things we just cannot purchase with cucumbers, bok choy, and carrots. Every little bit helps, so if you're interested in making a tax-deductible donation to help this 501(c)(3) Nonprofit Organization, please visit our Donation page. And thank you! Funding for this project was provided in part by The Missouri Foundation for Health. The Missouri Foundation for Health is a philanthropic organization whose vision is to improve the health of the people in the communities it serves.